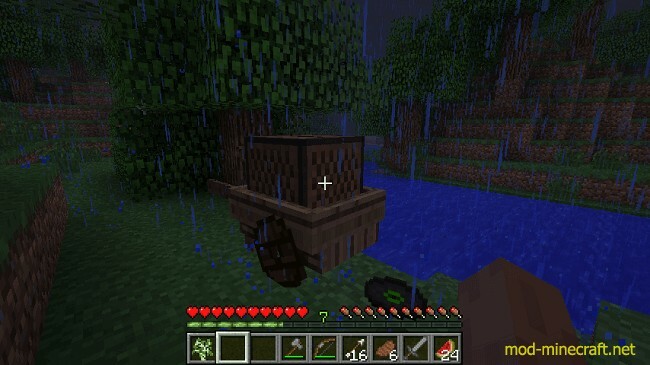 With Cart/Loom and Wheel Mod, transportation is at its finest. 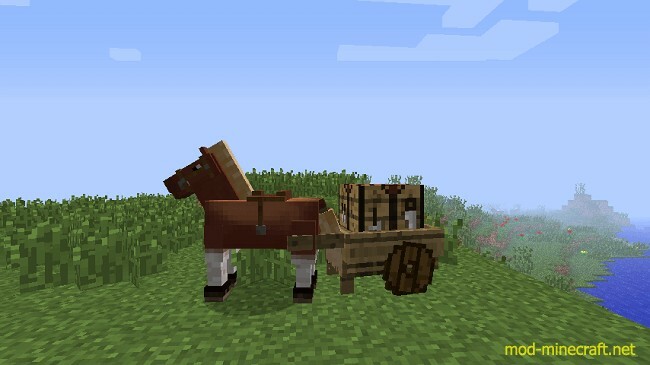 This mod adds Wooden Cart to carry chests, the crafting table, furnaces, jukeboxes, and animals. Furthermore, it hauls your chest, your furnace, your jukebox, because you need your tunes. 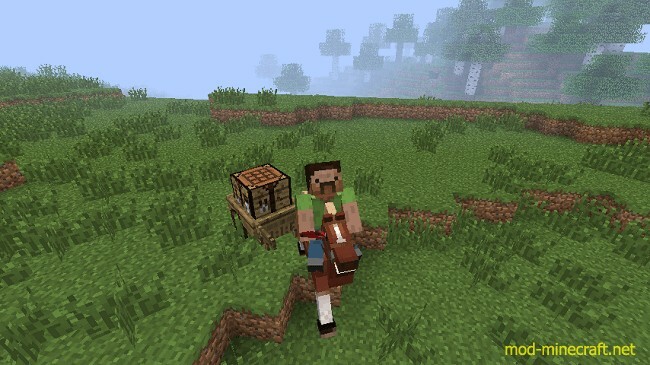 It also hauls your cat because it is jumping off cliffs. The list goes on, doesn’t it? 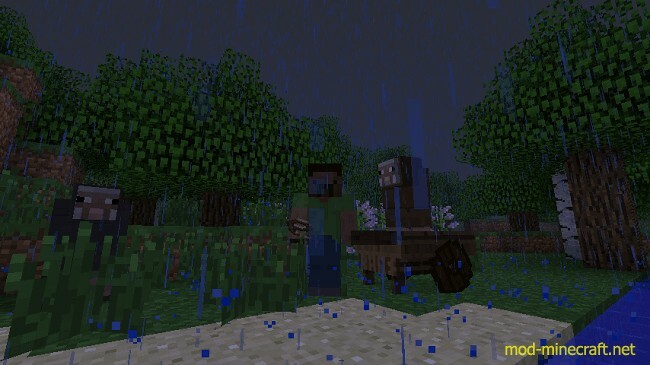 Do you hate killing all those spiders! 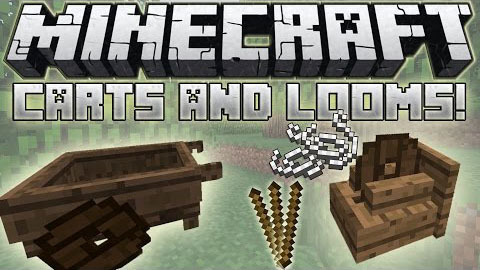 Let’s get a loom! 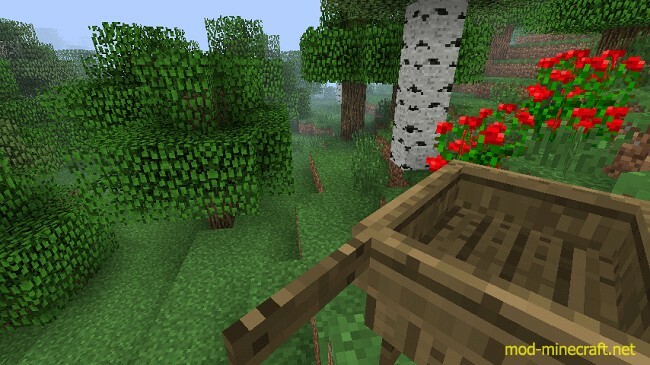 This mod adds a Wooden Loom that can transform wool to string, but requires time and a heap of sticks. 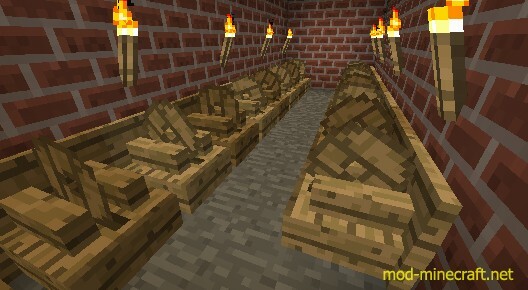 You can furnish your house with a new block: the Wooden Loom. 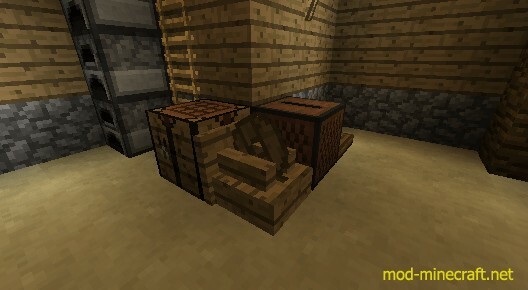 You can now transform wool to string with this new machine, feed it some sticks and time rewarding you with 4 strings per wool. You can also use shears which last longer than wooden sticks. 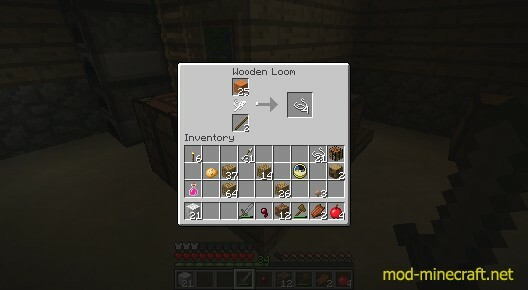 The loom having its unique shape also has animation while it works. A little experience is also given as you make more string. 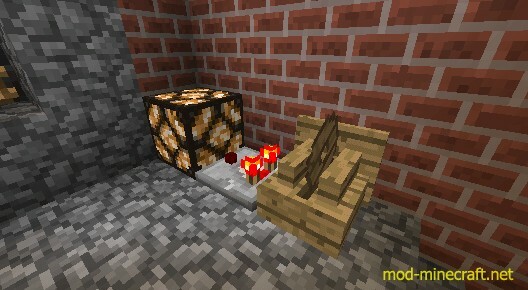 This woodcraft also supports your redstone creations utilizing comparators and hoppers that is similar to a furnace. 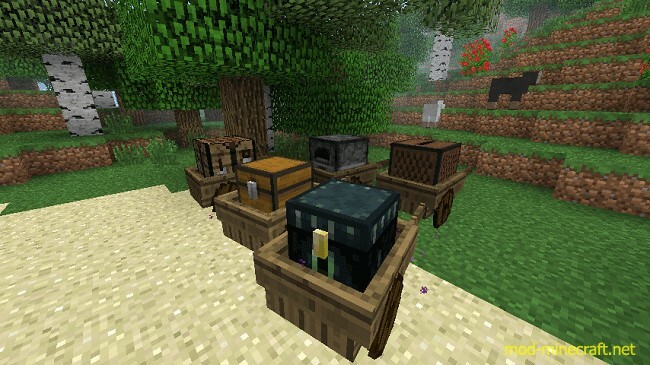 Hoppers add/take items depending on the side it is place on. 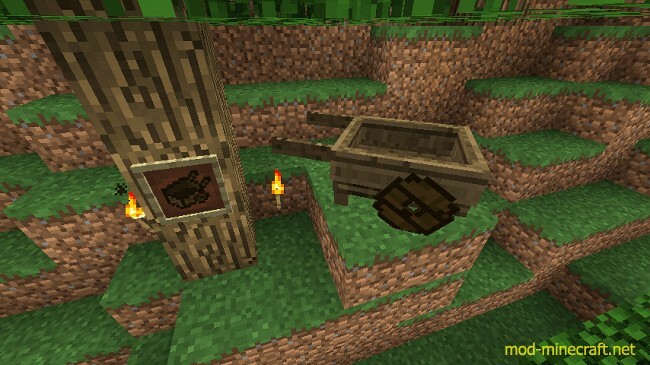 You also craft your loom today using planks and the infamous Wooden Wheel (MC+ Wheel). 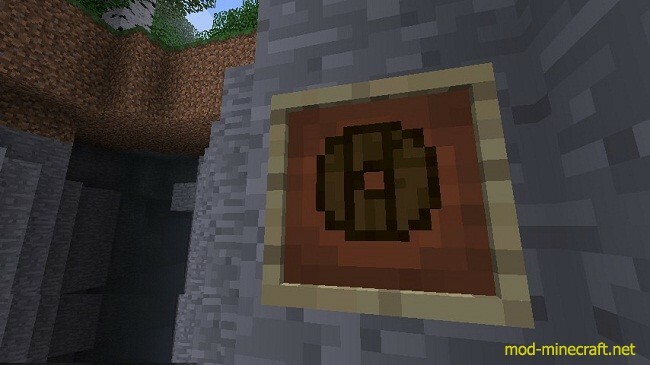 How would you get a Wooden Wheel you ask? MORE STICKS! It is better to stock up on those random extra sticks laying around. 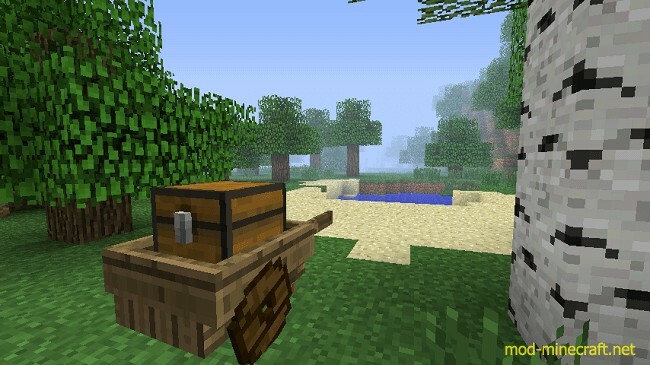 This mod adds a Wooden Wheel. 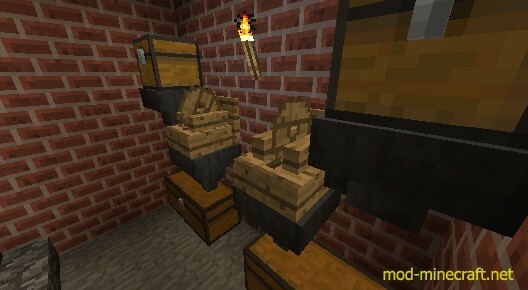 Used to craft more complex items. Everyone wants the Wooden Wheel.